Nobody knows for sure what Apple has in store Monday when it introduces, iCloud, the company's newest cloud service offering. ow, but one thing most people appear to be sure of is that iCloud will include a music-streaming component. This is the long-awaited iTunes-in-the-cloud rumor that critics have been wondering about since Apple purchased Lala, a cloud music service, in 2009. Current speculation is that the new music streaming service will scan your computer's music library and then let you stream your music collection to your PC or mobile device. The best part is that unlike Amazon's Cloud Drive or Google Music beta, Apple's iCloud music service won't require you to upload your digital files bit-by-bit. But what else does Apple's iCloud music service need to succeed? Here's my take on Apple's top five requirements for iCloud. Apple may offer iCloud music streaming free for a limited time and then charge just $25 per year for the service, according to the Los Angeles Times. That's a cheap price depending on how much music you get to store for that fee. A Rhapsody subscription, for example, costs a minimum $10 per month ($120 per year) for unlimited music streaming and one download per month. I have about 10 GB of music in iTunes right now, if I could upload and stream all of that for $25 per year that would be one heck of a deal. Uploading songs to iCloud you bought on iTunes would be nice, but if you're like me there's probably a whole lot more to your music collection than iTunes purchases. What about ripped CDs, or purchases from other digital music stores and from less reputable sources like torrents? Let's hope Apple considers this and ensures that iCloud will mirror everything on your computer that can be matched to Apple's database. Apple is said to be in talks with Hollywood to bring your video purchases to iCloud as well. Video streaming reportedly won't be available at launch, but the ability to buy or rent a movie and then stream it to a device the way you do now with Apple TV would be another big win. The only problem will be making sure you have enough bandwidth at home to stream all this content. You can bet that after a few weeks of iCloud streaming over 3G networks (if that will even be allowed), would blow through your AT&T bandwidth allowance pretty quickly. 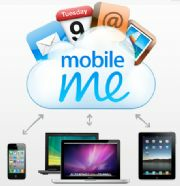 Apple's previous cloud offerings, such as Mobile Me, have been largely iOS- and Mac-centric. The company will clearly have to open up the new service to Windows PC users, as it does with MobileMe, since there are so many iPhone and iPod Touch users running Windows. But what about other mobile devices? Will iCloud include an HTML 5-based Web app accessible from any handset no matter who made it or what OS it's running? That would be a huge win for Apple's non-iOS iTunes users. Apple's new iCloud music service will reportedly be available only to U.S. residents at launch, but will the service itself be U.S.-only? Having your iCloud music available to you inside the U.S. is great, since it means you don't have to worry about storage limitations on your mobile device. But what happens when you take a trip to places such as Montreal, Cabo San Lucas, or London? Can you take iCloud with you? What good is a music streaming service if your right to listen to your music collection stops at the border? It's important to keep in mind that Apple's iCloud music streaming service is still just a rumor. All we know for sure is that Apple is introducing a new online service called iCloud on Monday during the company's annual Worldwide Developers Conference. But considering how strong the rumors are getting, it's a good bet you'll be streaming music via Apple's servers before the end of the year.